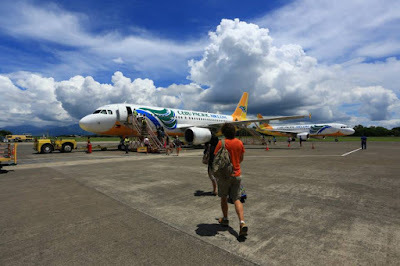 Aviation Updates Philippines - The Philippines' largest budget airline, Cebu Pacific Air, booked a P5.2 billion net profit in the first half of 2015 due to lower fuel prices and increasing number of passengers and flights in the international and domestic sectors. According to Cebu Pacific, the airline earned P5.2 billion for the first six months of the year, 63 percent up from last year's P3.2 billion net profit. The CEB Group gained revenues of P29.51 billion, 10 percent up, in the first half compared from P26.72 billion on the same time last year. Passengers carried increased by 8.2 percent to 9,221,568 compared to 8,524,534 in the first half last year. However, load factor decreased by 3.8 percent. The average load factor from January to June 2015 is 81.8 percent compared to last year's 85.7 percent. Another factor that increased the airline's profit is the number of flights. In the first half, Cebu Pacific operated 67,679 flights, up 10.7 percent, from 61,148 flights in the same time last year. The airline operates 55 aircraft this year, while 52 aircraft were flying from January to June last year. Meanwhile, cargo revenues also increased by 11 percent to P1.601 billion in the six-month period compared to P1.437 billion in the January-June period last year. Cebu Pacific's operating expenses decreased by 1.2 percent to P23.469 billion from P23.76 billion last year. Fuel expenses also declined by 22 percent to P9.156 billion from P11.669 billion in the first half of 2014.
if you really compute their fares, they are actually more expensive than other Airline, why? they do not serve meal on board, check-in baggage weight are limited and others. If you want to have a normal flight(i mean just like a leading airline with meals and standard baggage allowed) you have to purchase them in additional cost!! also, add daily scheduled flights are delayed! cost time and money!